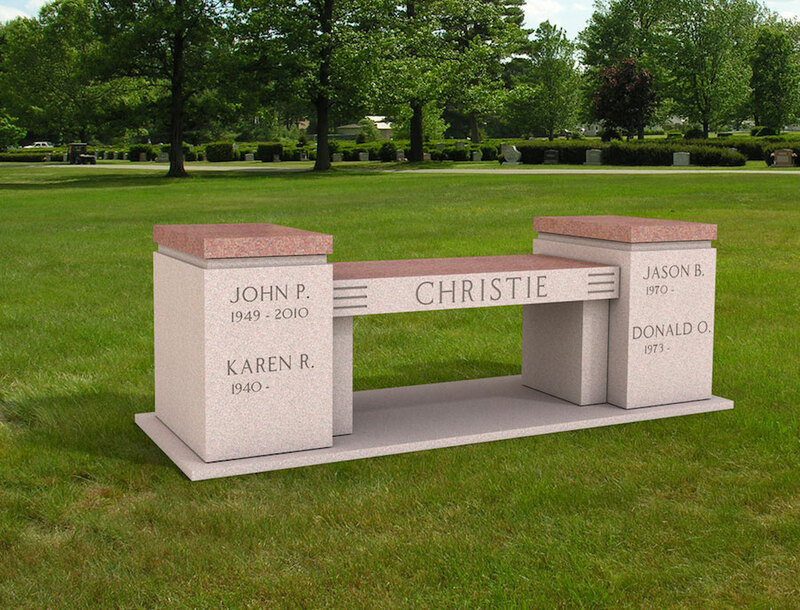 A bench memorial with recessed urn can be placed in a cemetery, on your property in a garden, or in a park. 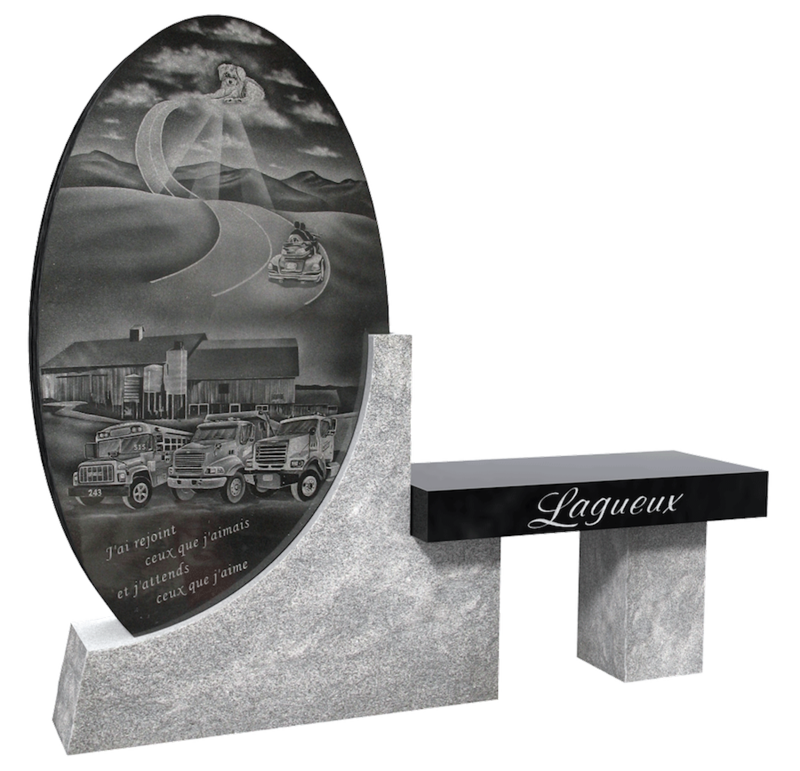 They are made of granite, with or without a seatback, and come in a variety of colors, sizes and finishes. Our expert craftspeople make a hole in the bench, place the urn inside, and seal the hole back up. 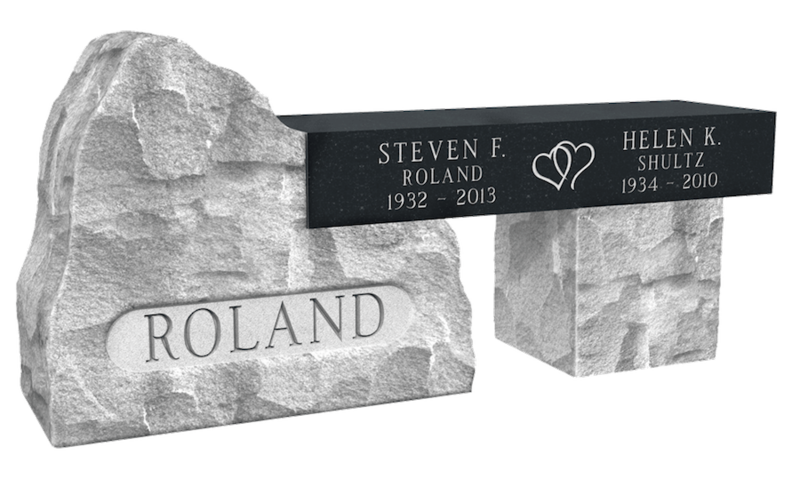 It can be personalized with engraved name, dates, and other unique artwork. 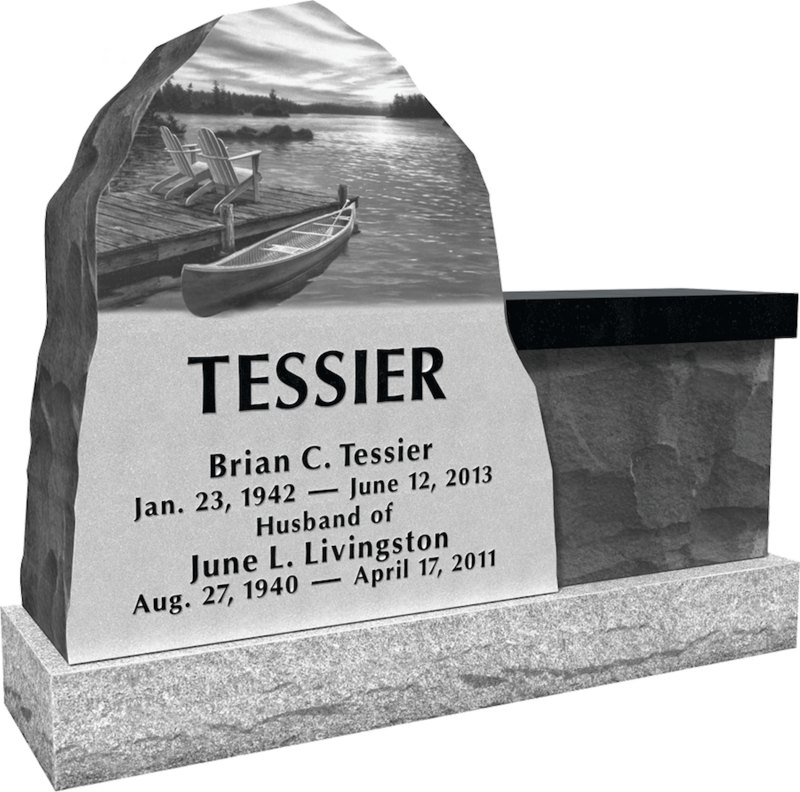 You can also add a plaque that is beautifully etched with photographs or a portrait of your loved one. 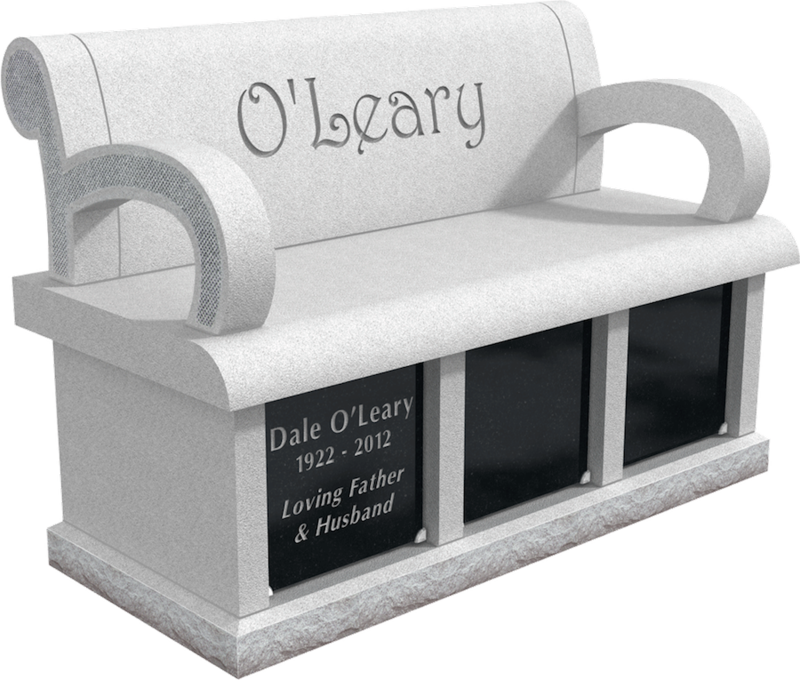 You may want to place the bench on the lot where other family members are buried. Check with your cemetery concerning bench memorial regulations.